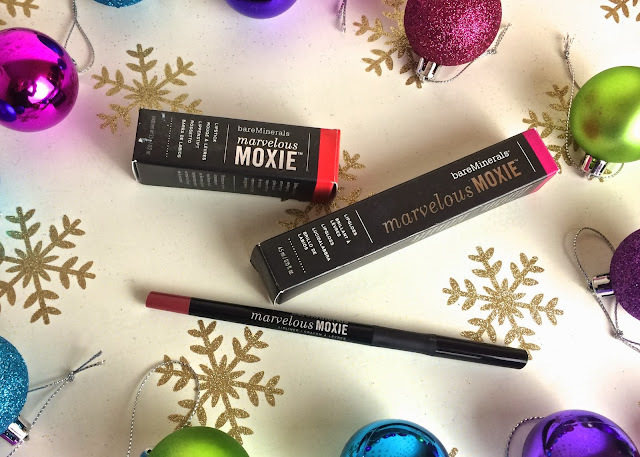 I was incredibly lucky to win the entire Moxie range of lipsticks, lip glosses and lip liners a little whole back. I'm still working my way through swatching them all and hope to have that post ready soon, but in the meantime I'm really enjoying wearing all of the colours. Having these has really got me back into using lip gloss and I've been creating lots of 'lip recipes' by mixing and matching them together. 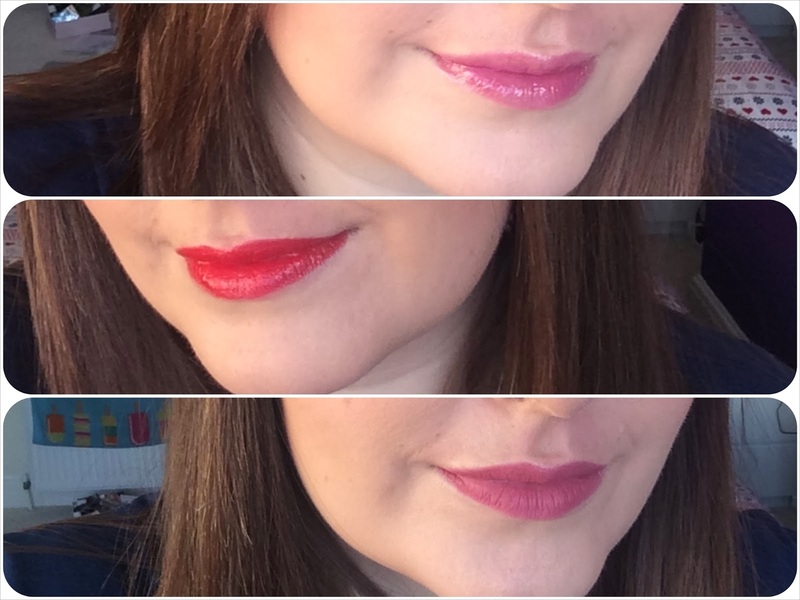 Here are some lip swatches of me wearing the three colours you can win. Don't worry, I am giving away brand new products and not the ones I've been swatching! This is a really pretty pink / purple berry shade. Worn alone as I've done here it's a semi-opaque super glossy finish, but it also looks lovely layered over darker lipsticks too. Live it up is a hot, bright red - what I'd call a Hollywood red lip. 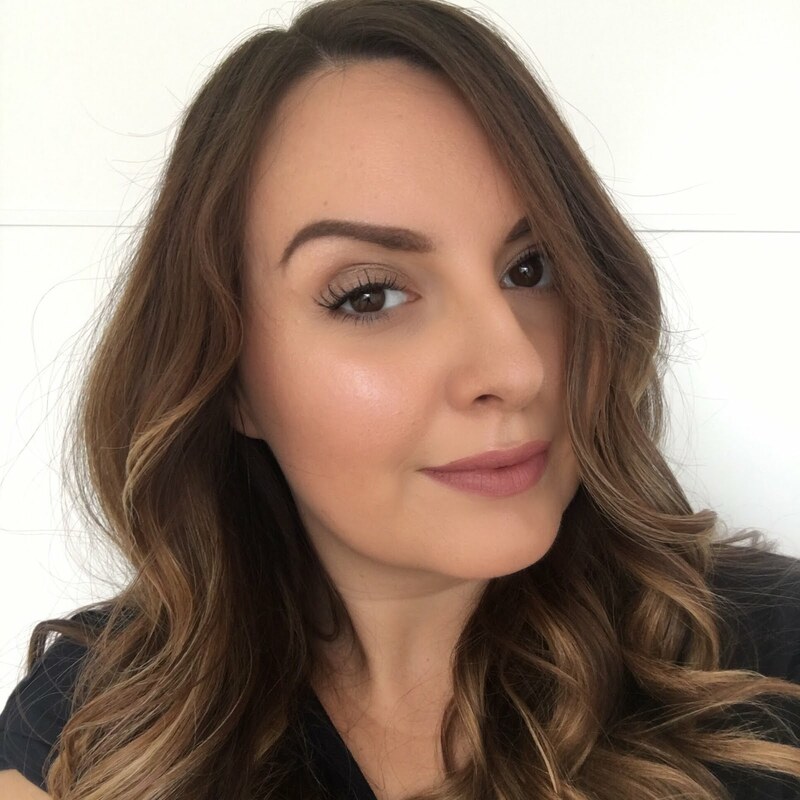 It's a really punchy colour and as with all of the Moxie lipsticks it's really creamy and glides on easily and smoothly. The Moxie lip liners are like twist up lip crayons, so no need for sharpening. They give a great matte lip effect on their own, or you can wear them under one of the lipsticks or lip glosses. Empowered is a pretty deep, dusky rose shade which I've been wearing a lot since I got it. I enjoy reading your column. The lipsticks look fab.